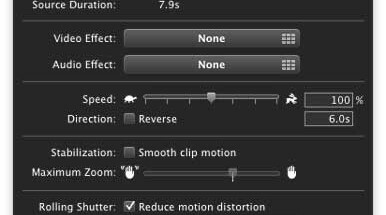 Today a very practical blog post for everyone who still has to rely on Final Cut Pro 7 for a lot of their work (like me), despite trying to phase it out slowly (which isn’t too easy when you don’t have time to really learn another software – oh well!). This post is about a problem I encountered when I bought SSDs both for my Mac Pro as well as my spanking new MacBook Pro 17″, and did a clean install of all the software I own on them. When you install Final Cut Studio (the old suite which includes Final Cut Pro 7, or 6, depending on which version you own), the installer places all the files in the Applications folder, just like it should. 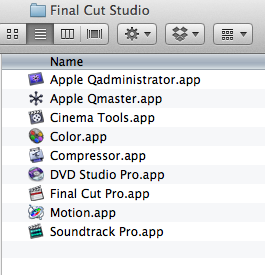 The programs installed are Final Cut Pro, DVD Studio Pro, Soundtrack Pro, Motion, Cinema Tools, Compressor, Apple Qmaster, Apple Qmaster Administrator and Color. So that’s what I did, I installed the old suite, then I went to the App Store and re-downloaded my copy of Final Cut Pro X. Mac OS X of course automatically installs it, and thereby moves all the programs from the old suite in a new folder called “Final Cut Studio” (within the Applications folder). Why? The reason for that is as simple as it is stupid: Apple decided to call the application of the new Final Cut Pro X simply … Final Cut Pro (version 10.0.0). Weird considering in fact it has absolutely nothing to do with its predecessor, and as we all know, you can’t even open legacy projects. But this is a whole different discussion. 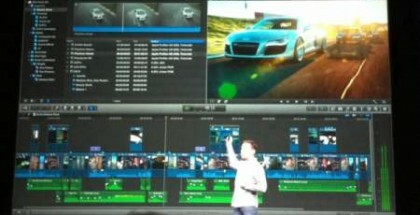 (Read my original blog post on Final Cut Pro X here, and a recap of its presentation at last year’s NAB here). By giving two completely different pieces of software the same name, you of course create a conflict within the applications folder, which of course is the only reason why they decided to move all of the old suite apps into that new “Final Cut Suite” folder. Well, turns out that Apple’s very own programs are usually only updated with Apple’s Software Update routine. A great and easy way to do updates without a doubt. However, the only folder it checks for updated applications is – you guessed it – the Applications folder. Not even subfolders. That means that the “Final Cut Studio” folder is dutifully ignored by Software Update, which means that if you re-install your entire software library, you are very likely to never do all those necessary error-removing little updates of your old Final Cut Studio suite – like me. And, like me, you don’t realize that immediately and start to wonder if Apple built in some kind of routine into your Lion which makes Final Cut Pro 7 very crash-prone, just to sell more licenses of Final Cut Pro X. You start really hating them when your large projects crash over and over again every time you start to render anything that is a little more processor-heavy than, say, some XDCAM EX footage. And then you realize the above and find out its simply due to Apple’s negligence of old software, and nothing else. The solution is quite simple – temporarily re-name your new versions of Final Cut Pro, Compressor, Motion and Qmaster to “Final Cut Pro X”, “Compressor X” and so on, and move all the legacy apps from that Final Cut Studio folder back to the Applications folder. Then run Software Update. It will immediately recognize the files and suggest a Pro Video update which updates Final Cut Pro 7 to version 7.0.3 – the last version it will ever see. After the updates, simply move everything back and don’t forget to re-name “Final Cut Pro X” and the other apps to their former names. Otherwise, you’ll have the same problem with the new software, once the next updates are due. 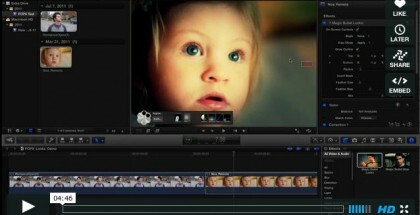 Then start Final Cut Pro 7.0.3 and feel happy that it still works as stable and looks just as old-school as it ever did. Or another solution. Switch it arround and put the 3 FCPX Suite applications in a New folder called FCPX Suite or something and the old suite back to the Applications root folder. Because the updater from the App Store DOES look in subfolders. 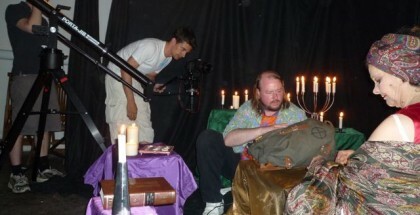 interesting – but why cant you update fcp7 to the latest version 7.0.3 before installing fcpX? And avoid all this messing about. I mean this is what most people would have done anyway given that 7.0.3 hs been out a while? Of course you can – but you have to know that you have to do that before you install FCPX! If you are not aware of this, you might never get the last version of Final Cut Pro 7 and might wonder why everything is screwed and crashes all the time. 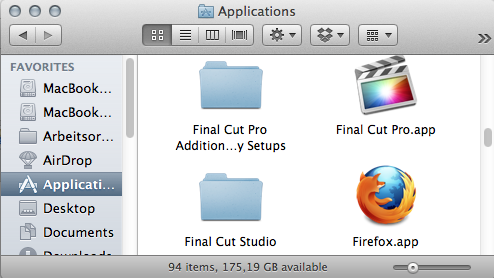 Hey, can you tell me the name of that folder that starts by:”Final Cut Pro Addition..” exactly as it is written? ‘Cause i’ve always run final cut pro normally and the other day I change that folder name just to “Final Cut Pro”, and I don’t know if it a coincidence or not , but today i ran final cut and it crashes on startup. i don’t understand. Thank you so much man! Genius post, keep them coming! You just made my day. I’ve been struggling with FCP7 crash problems at work for far too long and it seems like this is the exact fix I needed! Thank you very much!